What do you make for snack time for your kids? I’d love to hear your snack ideas. Is is easy or hard for you to come up with different ideas? I normally do something simple like a variety of crackers or fruit snacks. Katie and Sophia sure love their fruit snacks and snack time in general. I’ve been trying to come up with different ideas for my girls. 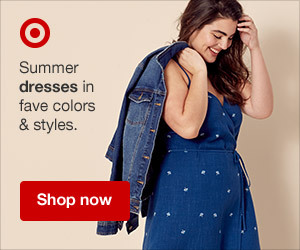 I wanted to find something that Katie and Sophia would love. I came up with this idea with strawberries and graham crackers. Katie and Sophia love strawberries. 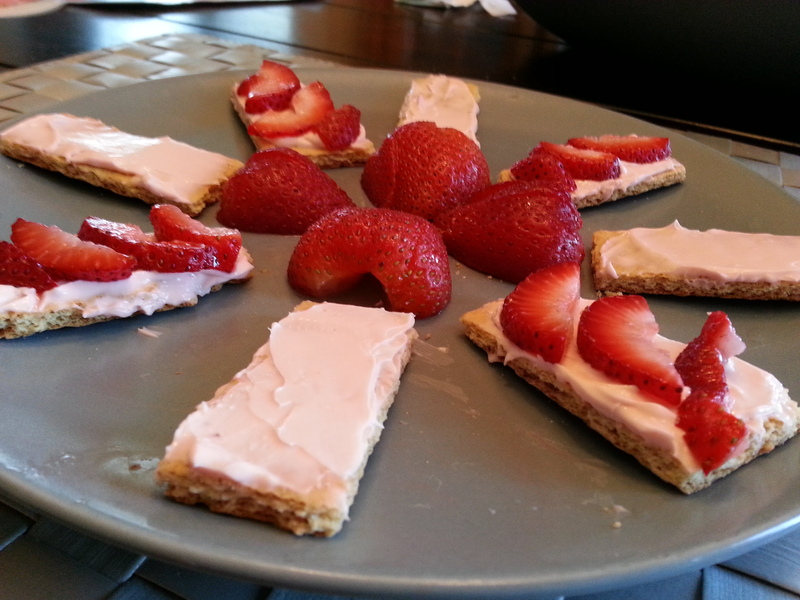 I spread strawberry cream cheese on top of the graham crackers and placed sliced strawberries on top. I cut some strawberries and placed them on the side, so there is still the option of eating them plain. Sophia ate the strawberries plain and Katie loved the crackers with strawberries. Here is the recipe for strawberries and graham crackers. 1. Break graham crackers into smaller pieces. 2. 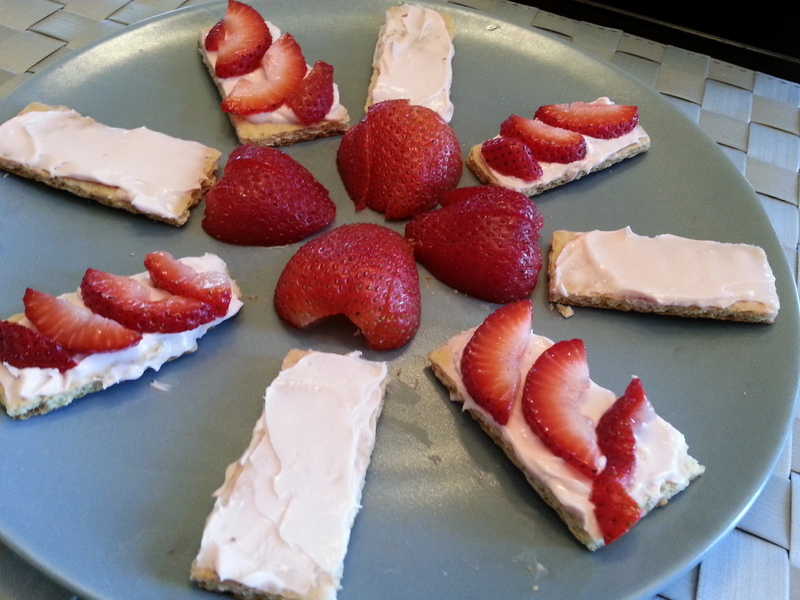 Spread strawberry cream cheese on crackers. 4. Place sliced strawberries on half of the crackers. 5. Place couple sliced strawberries on the side. Serve on a plate and enjoy! What a great afternoon snack idea! My kiddos would love this! 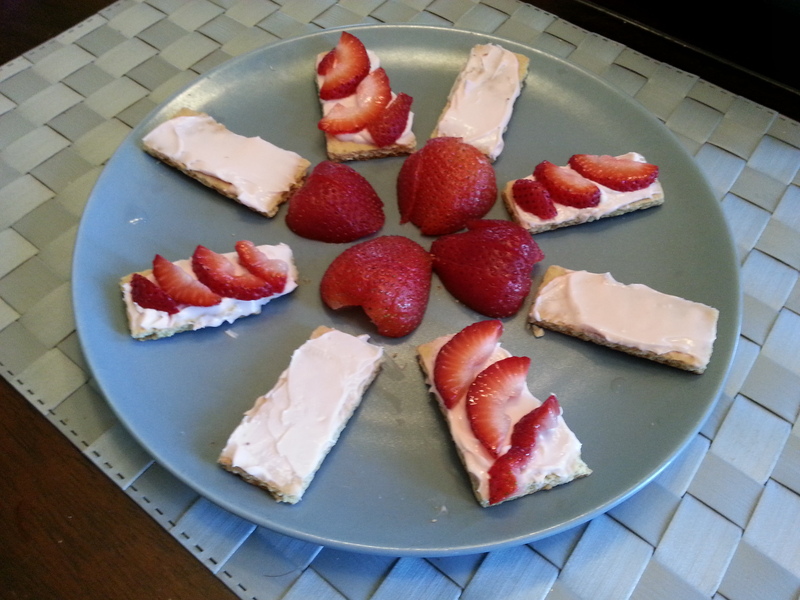 Having strawberry cream cheese on the crackers makes it tastes really good. I use a similar recipe, except I use whipped cream in place of the cream cheese. Great summer recipe. 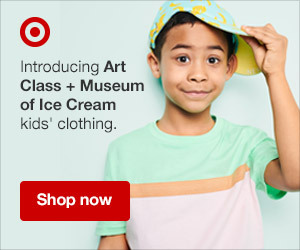 Sounds like a great little dessert for the summer. Pingback: Turn It Up Tuesday - #38 - Baby Doodah!